Fewer long runs or more short runs? Which do you prefer? I found myself thinking about this the other day on my run home from work. I prefer doing a longer detour on my way to or from work getting about 10-15k out of what could be a 3k commute. If I do the detour to work I'll run the short route home since that run ends up being more about getting home than anything else. This also goes for when I'm not run commuting. I'd rather do 15k one day than splitting it up into two sessions on consecutive days. From a purely pragmatic view this just makes more sense to me. I've spent the time getting ready for a run, and I'm gonna have to spend time after the run getting ready for the rest of the day, so I might as well get the most out of it. Also: Getting out the door is always the hardest part(especially during winter in Norway). Once I'm out, I might just make the most of it. I am however under no illusion that my way of doing this is correct in any way, shape or form. I do however like to pick the brains of people with more experience than me. So what do you prefer? 5k runs six days a week or 10k runs three days a week? Something in between? And also: Anyone have any articles on the subject? Has any research been done on the difference between more runs versus longer runs? I like running and dislike the faff of getting clean and changed so I'd almost always rather run further than run twice. I think whether it's 'better' or not will depend in part on what you are training for or what you want to get out of your running. Totally depends what you want to achieve. 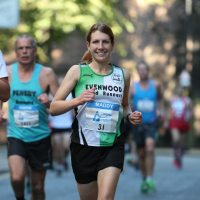 If you're marathon training, you need to do long runs, if you're training for 1500 metres you're probably going to get more out of a short, sharp session and a separate recovery run. I much prefer longer runs, because I am too lazy to run fast - but if you are looking to improve something specific, then the training should also be specific (and varied). I'd never do 6 x 5k runs or 3 x 10k runs because there is no variety to it, and I'd only every get (slightly) better at running 5k or 10k. What I generally do is 2 x short runs (about 4-5 miles), one longer run, one speed session and one medium long. You can't go too far wrong with this, scaled up or down according to the distance you're training for. I run 5 or 6 days a week so there is my answer. I also don't run more than 10 miles as a rule. Usually running alternate days, and averaging 30+miles/week to maintain a good base. 'Long run' is often associated with 'slow' running but it is very easy to get a variety out of a long run; Fartlek, Strides, progression, etc.. Hard to do that if all your runs are short. Writing the original post I was thinking about the milage-part of the equation, not the faster exercises. And I agree that there is a difference between running 5k two times a day and running 10k in one session. As I'm building my milage up from more or less scratch, and being careful not to over do it and cause injury, I'm just trying to figure out the best way of portioning the miles not being spent on the weekly long run over the remaining days. The goal is a HM in early september. Right now I run three days a week. Soon I'll have to add another day as the milage increases in order to squeeze the training in around an already tight schedule. But the thought that has gone through my head is adding two more days of running instead of one, total milage being the same. For the sake of the argument let's say I'm doing a 12k long run on the weekend, a 10k session with 1k intervals, and a day with a 8k run commute, and I'm aiming for a 40k week. What would be most beneficial? Doing the last 10k as one run, or splitting them between two days? I guess I'm just trying to figure out how to spread the load out through the week. The long run needs to get out towards 18kms. That only leaves 22kms so I would do 2 x 8km and a 6km. I think you've got a good plan that should get you around your half marathon without a problem if you maintain it. With regards to splitting runs, I think you should do whatever you enjoy the most. If you're doing a longer run and some intervals, at your level it isn't going to make much difference if you split some of the other runs or not. The key is consistency and for that you need to maintain motivation and avoid injuries. Good luck. Thanks for the replies! The 40k week was just meant as an example. The plan is to work my way gradually up to about 60k a week come late april to build a base, then get more specific about the training. I'll just split the runs when I feel like I have to/want to in other words.